If you have come across this article, then you probably have questions regarding a Louisiana succession. This article will attempt to answer some of your questions that you may have and give you a general understanding of how a Louisiana succession works. 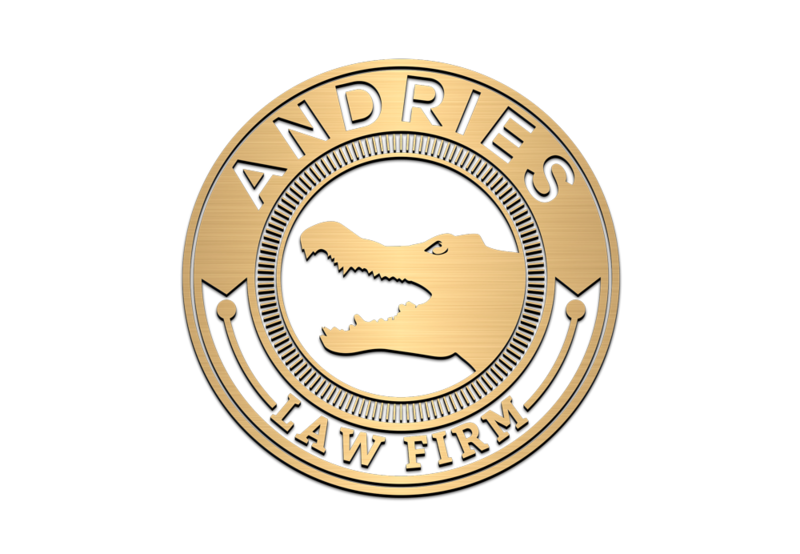 As we've stated in our Louisiana Succession Guide, this area of law is intricate and has many nuances that an experienced attorney at the Andries Law Firm can help guide you through. We'll begin the discussion by explaining what a Louisiana succession and answer some of the most common questions our law firm receives. What is a Louisiana Succession? The State of Louisiana has developed a set of laws that determine what happens to your movable and immovable property when you die. The Louisiana Civil Code defines succession as the transmission of the estate of the deceased to his/her successors. Basically, a Louisiana succession places the heirs into possession of both movable and immovable property of the deceased. (More on what comprises movable and immovable property in Louisiana later). The Louisiana Civil Code states that the estate of a deceased person means the property, rights and obligations that a person leaves after his/her death. The estate includes not only the rights and obligations of the deceased as they existed at the time of death, but all that has accrued since death as well as the new charges to which the property becomes subject. Again, you will want to speak with an experienced Louisiana succession lawyer to determine what the estate of the deceased consists of. *We recommend keeping a binder with detailed information regarding documents of your estate such as life insurance, bank accounts, retirement accounts, investment accounts, savings accounts, etc. and tell someone where to locate it in the event of your death. There's nothing more frustrating than leaving loved ones to try and wrap up your affairs while grieving and they cannot locate the property. When beginning the process of gathering information for a Louisiana succession, the first thing you must determine is whether it is intestate or testate. A testate succession is one in which the deceased left a valid Last Will and Testament under Louisiana law. You are able to delegate to whom your property goes to with some exceptions. (A detailed discussion about Forced Heirs can be found here). For example, Bruce is married to Susan and both spouses have children from previous marriages. Bruce has both community property and separate property. With a valid Louisiana Last Will and Testament, he can leave his portion of the community property and his separate property to Susan. The exception to this is if Bruce has Forced Heirs. If that's the case, Bruce can still leave the property to Susan, but will need to give her a lifetime usufruct to ensure she will have 'use' of the property for her entire life. After which, Bruce's children can inherit the property in full ownership. The Louisiana Civil Code defines a forced heir as a child who is under the age of 24 at the time of death of the decedent or has a mental or physical incapacity that makes them permanently incapable of handling their affairs. If you have a forced heir in Louisiana, they are entitled to inherit a portion of your estate and you cannot will them out, but you can provide your spouse with a lifetime usufruct over the property. An intestate Louisiana succession is one that occurs when the deceased failed to leave a will, or parts of it were held to be invalid. Louisiana has a special set of laws that determines the placement of the deceased's property when they die without a will. What Happens Without a Valid Louisiana Will? When someone dies in Louisiana and either didn't execute a valid Last Will and Testament or the will was found to be invalid, then the undisposed property of the deceased devolves by operation of law. This includes the decedent's descendants, ascendants and collaterals, by blood or by adoption, and in favor of his/her spouse not judicially separated. In other words, without a valid Louisiana will, individuals will be placed into possession of the decedent's property in a particular order that the State of Louisiana has set in place. There is a good chance this distribution of property will be at odds with the decedent's wishes. This is why it's important to speak with an attorney ahead of time about drafting a will. What Does My Spouse Get if I Die Without a Will in Louisiana? First, an analysis must be conducted to determine whether the property involved is community property, separate property or a mixture of both. 2. Separate property is property that was acquired before the marriage. Community property can be imagined as a pie cut in half. The wife owns her 1/2 outright as does the husband own his 1/2. When one spouse dies and has surviving children, the surviving spouse will be granted what is known as usufruct over the deceased's 1/2 of the community property. The children will be the naked owners of the property. This usufruct will terminate when the surviving spouse remarries or dies, whichever happens first. For example, Ben is married to Sue and they own a home together as community property. Ben has two children from a previous marriage and one child with Sue. Ben dies first, leaving Sue behind. Sue already owns her 1/2 of the community property and is granted usufruct "use" over Ben's 1/2 of the property. This usufruct will terminate either when she remarries or dies. If the deceased was married and had no children, his surviving spouse gets his share of the community property. If the deceased spouse had children, things are different. The surviving spouse will have usufruct (use) of the deceased's share of the community property. This use terminates when the spouse either remarries or dies, whichever happens first. The children will have naked ownership of 1/2 of the community property. Basically, the surviving spouse will be allowed to use the deceased spouse's community property, but if they remarry or die, then the usufruct will terminate and the children will receive the property. Does this Cause Problems with the Home? It often does. Here's a common example: a couple buys a home while married. This would be considered community property unless specified otherwise. That means the husband owns 1/2 and the wife owns 1/2. The husband dies without a will, leaving his wife with the home. However, she only owns 1/2 of the home with a usufruct (use) of the other 1/2. His children have naked ownership of his half. If she remarries, she will lose the use of 1/2 of the property and may be forced to either sell the property or buy the children out. This probably wasn't the husband's wishes after he dies, but it's too late. He didn't have a valid Last Will and Testament in place. Separate property is property that is his/hers exclusively. It is usually property that is acquired before marriage, property acquired with separate property or property acquired by inheritance or donation to him individually. If you die with children and do not have a will, your separate property goes to your children. If you have more than one child, they spit it evenly. For example, you die intestate in Louisiana and leave behind 5 children, they each receive 1/5 of your separate property. If you die without children and do not have a will, but you are survived by a father, mother, or both, and by a brother or sister, or both, or descendants from them, the siblings or their children take your separate property and your parent or parent receive the usufruct (use) of your separate property. Basically, if you die without a will and have not children, your siblings now own your separate property and your parents have use of your property. What if your parents predecease you and you do not have children? In this instance, your siblings will receive your separate property in full ownership. What if you don't have children nor siblings? In this case, your parents will receive your separate property in full. See where this can create an issue for a married individual? If you desire for your spouse to receive your separate property when you die, you need to have a valid Louisiana Last Will and Testament.